I don’t sing praises, as a matter of principle. I always believe that if it is God who put you there to better the living conditions of your people, he will equip you with the necessary tools, be they human or material resources. I also believe in what my father taught me in those good old days that no man does better if the good he does is not appreciated. It is on this note that I write about a man I have never had the privilege of meeting one-on-one. I just hope we will meet, some day. Shehu Sani, the Senator representing Nigeria’s Kaduna Central Senatorial District, is a very interesting politician. And I think I like him in some ways. When, for instance, he recently addressed a delegation of Muslim Students Society of Nigeria [MSSN] in his Kaduna office, Mr. Sani defined Boko Haram as a “demonic force”, a serious threat to Islam, Nigeria and humanity. On a more serious note, he identified 13 reasons for not only the emergence of the Boko Haram insurgency but also for its sustenance, especially in the North-Eastern parts of Nigeria. He hinted to the young visitors that there was no better time than now for the MSSN to play a key role in addressing those issues that have continued to bedevil the people, the region and the country. “Your relevance today is very much needed in terms of finding solutions to the challenges of our era and our generation” he told them. Mr Sani said he had been able to identify 13 factors which seriously contributed to the wave of violence and bloodshed in Nigeria and the persistent insecurity fomented and sustained by the Boko Haram insurgency in the North-eastern part of Nigeria. “We have reached a point in the North where we are not safe in the Mosque any more. We are not safe in the Office. We are not safe in the Church or in any public gathering,” he lamented. Identifying the factors, Senator Sani said manipulation of religion was the first and most dangerous factor. “There is no doubt that those who took the path of extremism sowed its seed by manipulating and distorting religious teachings”, he explained. “The second factor was the disconnection between government and the governed. The growing gap between the political, social and religious leaders and the led had created a vacuum, and had made it possible for violent extremists to take over that vacuum and propagate their murderous ideology. The third factor was the prevalence of social and economic injustices. "What our leaders refused to invest in social security, they are forced to spend on national security." “The fourth factor was the global terror epidemic – terror contagion. Terrorism in Yemen, in Afghanistan, in Somalia, in Africa was spreading its cancerous effect, destroying lives and property. “The fifth factor was the collapse of public education. Normal schools that should have provided meaningful education to Nigerian children had collapsed, and as a result, people who could not find good places to learn were forced by circumstances to go and learn from bad places. “Then the country had to contend with massive unemployment as the sixth factor. Many of the young people who ought to live decent and responsible lives roam about in the streets. People like these are always vulnerable and represent one of the most potent threats to the country's collective existence, unity, peace and democracy. “As the seventh factor, the country had the proliferation of arms and unguarded borders. It became easy for arms to move around our country, so accessible because the country's borders were porous and extremists found it easy enough to pick up guns and ammunition to fight. “The eighth factor was the underdevelopment of the North by previous administrations. It was very clear that governments in the past had not used the opportunity of power to educate the region, to develop the region, to lift the people out of poverty. So, there was irresponsibility in governance at that time. “Economic collapse of the North was the tenth. Most of the industries in the North had closed down. The economy o the North remained as arid as the weather. Most of the states depended on oil revenues to pay salaries and execute capital projects. The North neglected agriculture. They refused to explore solid minerals. they refused to use the power they had, which was the wealth of the people, to advance the region. “As eleventh factor, it can also be said that capitalism bred terrorism. Where there is an institutionalized master-servant relationship, where you have a system that is unjust, unfair and unconcerned about the state of the poor, then you create a favourable ground for people to take desperate measures to survive. 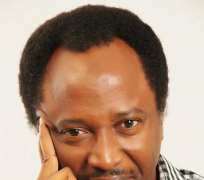 Senator Sani identified lack of unity and ethnic crisis in the North as the twelfth factor. “Disunity in the North occasioned by intra-fighting between ethnic groups and beliefs created a vacuum. So, for us to win a war that has threatened our collective existence, unity is inevitable”. As the thirteenth factor, the senator said: “And then I can say the distortion of religious realities and facts was the seed of terrorism. That is where the seed is. If you are a preacher and you distort the teachings of religion and bring something that is not supposed to be there, you are creating a monster. Therefore, for us to win the war against insurgency, we must break the wall of fear. Our religious clerics should choose the option of either engaging the insurgents or confronting them. The battle against insurgency is the battle for the soul of Islam, for the soul of the North and for the soul of Nigeria. Nigerians must in every respect take these battles as a collective battle,” he said. Mr Sani has spoken on many other issues which include the rapidly sliding standard of education in the country, particularly in the North due to the presence of Boko Haram. He has spoken on the Chibok girls and the best way to rescue them. He has condemned the Kaduna Carnival as irresponsible. He has said the Senate will cooperate with President Buhari in his fight against corruption. That, he made good when only last week he expressed his dismay that the Presidency would choose to shield a senior public officer who was accused of gratification. Mr Sani has also called on Nigerians generally to speak up in unity against the activities of kidnappers. Born 29 October 1967, at the height of the Nigerian civil war, Sani must have been told about what happened before the war broke out by his parents. And as he grew up, he would have confirmed the truth or otherwise of what his parents told him. And then he must have made up his mind, on whose side he would belong – the side of the rich, selfish and unjust or on the side of the rich, selfless and just. Sani is a celebrated Nigerian politician. He is an author and a playwright. He is the President of Civil Rights Congress of Nigeria (CRCN). He is the Chairman of Hand-in-Hand Africa, an NGO. Arrested and jailed for life by previous administrations for his vehement struggle to restore democracy in Nigeria, he was released from prison when democracy was restored in 1999. Since then, he has been honoured by several bodies. He has been awarded an honorary degree by Ahmadu Bello University, Zaria. He has been inducted into the Hall of Fame by the Association of Nigerian Authors. He has been named ‘Hero of Democracy’ by Tell Magazine. He has been honoured by Sweden-based Iqbal Masih for his defence of Child Rights. He has been nominated as a Peace Ambassador by the International Peace Foundation among other bodies. As the Vice Chairman of the Senate Committee on Foreign Affairs, he paid a courtesy visit to the former Head of State, General Yakubu Gowon. In that meeting, Gowon publicly agreed with him that there was nothing wrong with the popular demand to restructure Nigeria as far as it is done within the context of one Nigeria. Gowon even recalled that during his tenure, the country was restructured when he created new states in addition to the existing ones in 1967. And with all this going for him, I think that a man of Senator Sani’s integrity should be made the Most Special Adviser to the President on Political Affairs and National Stability. Senator Shehu Sani deserves it. He is an asset to the ruling APC. And to stay afloat as the party needs to do if it has to remain relevant to the needs and aspirations of most Nigerians, the APC should tap into and utilise the knowledge of people like Senator Shehu Sani. They will need him.